A completely brand new bathroom has been installed in one of our Superior Rooms to provide an easy access room for all our guests. Our spacious large Superior Room 114 is located on the 1st floor and has been recently renovated to provide extra wide doorways for easier access and conveniently situated with electrical switches. 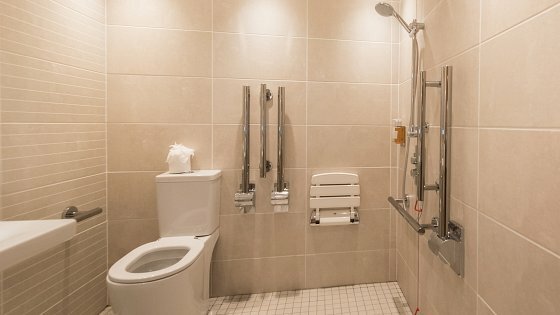 The state-of-the-art bathroom features a spacious wheelchair accessible wet room and emergency assistance facilities. Decorated to a high standard, Room 114 is ready to be booked for a luxury holiday at The Imperial today. All of our bedrooms are now stocked with complimentary bottled water on arrival. 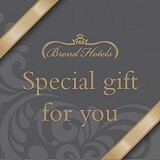 Our Deluxe and State Suit also now come with an additional Nespresso coffee machine to enhance your stay with us. Every guest at The Imperial will enjoy our luxury experience and our delicious food in our restaurant and bar.